Please submit your choice by Friday, November 3, 2017. Polo shirts are $35 each. The RMH logo (embroidered) is on the upper left side. 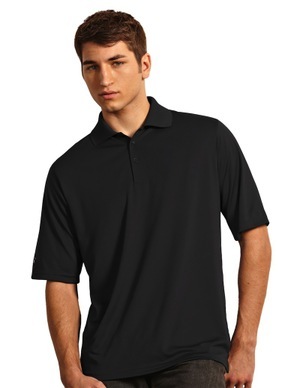 All shirts are 100% polyester micro-flat pique Desert Dry, moisture management short sleeve polo with 3-button placket, flat knit collar, and open sleeves. Color: Smoke (dark gray). All shirts will be delivered free-of-charge to the Ronald McDonald House. Family Room volunteers, your shirts will be delivered to your rooms.